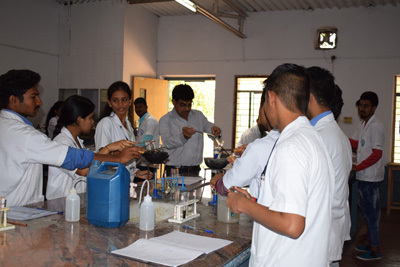 To provide highest standards of Pharmacy profession for developing global competencies with successful implementation of "GOOD PHARMACY EDUCATION PRACTICE" and to project the role of future pharmacist of India as important and competent health care professional in providing the optimal value services to the society. To meet the needs of Society locally, regionally and worldwide with focus on the growth of students along with institution. To promote industry-institute interaction, linkages envisaged with the strategies for developing new products, services and IPR. To cope up with swift changes and to Redesign-Reorient the educational and training programmes to meet the global challenges. To train future pharmacist of India as 'Seven-Start Pharmacists' as per the guidelines of FIP and WHO. To provide necessary knowledge and skills to commence practicing competently in a variety of settings including Community Pharmacy Hospital, Pharmacy and Industrial Pharmacy.